Rt. 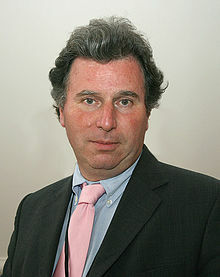 Hon Oliver Letwin, Minister for Government Policy. Below is the summary presented by Della Reynolds, co-ordinator of the Pressure Group for the attention of those conducting the inquiry. As co-ordinator for the PHSO Pressure Group, I wish to discuss the responses given by the Cabinet Office to the recent Public Administration Select Committee (PASC) reports ‘More Complaints Please!’ and ‘Time for a People’s Ombudsman Service’. I believe that both of these reports will be central to Mr. Gordon’s own inquiry into public service complaint handling. We therefore wish to give our perspective as users of the Ombudsman services. Point 1. Both reports call for a single Minister from the Cabinet Office responsible for government policy with respect to the Parliamentary and Health Service Ombudsman. Q2. In what ways would the Minister’s role dovetail with that of PASC? Point 2. In ‘Time for a People’s Ombudsman Service’ PASC calls for a significant change in the quality of investigations at PHSO and not simply a re-classification of current workloads. They call for greater transparency of its evidence gathering procedure and decision making process, including how it reviews its own decisions. The Cabinet Office response to this was, “These are matters for the PHSO”. Q3. We believe that the ability of PHSO to self-determine, self-evaluate and hold itself to account has led to the present dire situation. This service is unaccountable to anyone but itself. The investigation process has been found to be flawed; triggering rebuke from the Health Minister, Jeremy Hunt in relation to PHSO’s handling of the Morrish case. In light of identified shortfalls in PHSO services would it not be prudent for the Minister with responsibility to independently look into the following aspects of complaint handling? Professional evidence randomly dismissed as irrelevant by an assessor with no clinical or legal training. Inaccurate facts and data in reports. Evidence removed from files before they are sent out to clinical advisors. Complainant not given the opportunity to respond to evidence from the public body because they are denied access to it until after the final decision. Public body sent draft report for amendment and complainant only sees amended version. Bias towards public bodies, their word accepted without any supporting evidence. Investigation goes ahead even though the Trust has withheld vital documents. PHSO do not use their powers to enforce full disclosure of evidence. No face to face interviews. Point 3. The PASC reports call for an effective ombudsman service for UK non-devolved matters – in addition to that of a single public services ombudsman for England. Q5. Alongside this would the Cabinet Office consider creating a ‘People’s Ombudsman’ to deal with Parliamentary matters for England and the UK as a whole? This would be staffed by legal professionals able to bring expertise to decision making and would be in line with most other Ombudsman around the world. (70% of staff in the Netherlands are legally trained). Q6. Would the Cabinet Office consider restoring the second-tier complaint process for NHS issues which was removed in 2009 when the Healthcare Commission was abolished? A local, second tier system could prevent many complaints from reaching the Ombudsman and give members of the public speedy resolution. The Ombudsman service would then have the time and resources to investigate complex cases in depth and initiate its own investigations into systemic service failure. Q7. Would the Cabinet Office consider removing total discretion from the legislation controlling Ombudsman services and give instead a clear job description so that the Ombudsman can be held to account? Q8. Would the Cabinet Office consider beefing up the role of PASC so that the select committee can effectively hold the Ombudsman to account? Without proper accountability any new policies and procedures can be breached with impunity. Q9. In 2013/14 PHSO upheld to some degree 11% of all complaints received following an investigation. They ‘put right’ 16% of complaints without the need for a formal investigation. Consequently 27% of the people who complained that year would have received some satisfaction from making their complaint. Conversely, 73% of complainants would have felt that making a complaint made no difference. Do you think that an uphold rate of approximately 30% will make complainants feel welcomed and valuable? Point 5. Under the heading ‘keep it simple’ both reports talk of a single portal to make access to the Ombudsman service easier for the public. The Cabinet Office is in agreement and is looking into developing an on-line service for this purpose. Q10. Would the Cabinet Office consider addressing the following points which cause great distress to the complainant when trying to access the complaint system? The complaint system is currently like a giant pin-ball machine where a complainant is bounced from one body to another. Each time the complainant has to re-live their trauma and present all their evidence only to find that their complaint is ‘not in our remit’. They are sent to another body where the whole process starts again from scratch. The complainant is left on their own, often suffering from emotional trauma, to be a detective and persistently dig out the evidence, determine the policy guidance which may have been breached, then locate the right body to evaluate their case. They must determine which evidence is valid and write a clear account of their complaint and why this was in breach of policy. They often have no expert advice at this stage or throughout the process. Public bodies unnecessarily delay the process by withholding data, failing to respond to correspondence and use legal advice, not available to the complainant, to close down the case. A most significant block to using the Ombudsman service is the time bar. 12 months from the time the complainant first became aware of the problem is ambiguous and allows public bodies to avoid PHSO scrutiny by dragging their feet past the 12 month deadline. The criteria should be 12 months from the official conclusion of the first tier stage. All complainants receive a named case worker who follows their case from beginning to end and across different public bodies if necessary. This named caseworker is provided locally and can be visited for face to face discussions. All complainants receive free advocate advice from the outset. All complainants have access to specialist legal and medical advice from the outset. If the Ombudsman delivered an effective complaint handling service, with powers to ensure public body compliance, then NHS Trusts and public bodies would automatically come into line. Get it right at the top and the rest will follow. Previous Previous post: Compare and contrast two different Ombudsmen services …. Pingback: Can Oliver Letwin deliver an Ombudsman service fit for the 21st Century? shockingly the review concluded they were wrong and to fix the problem all they did was get the NHS to write a response: the PHSO : did not check it, did not review it, and did not check it for accuracy or quality – they closed my case and identifieed it to be post review. I was unhappy with the NHS response and because I am unhappy, I have to go through the whole process again. Strangley, I contacted the review team, they refused to speak to me, I was advised via email to put my complaint in writting and contact the enquiries team: I did just that – and they told me they could do nothing about it because it was post review!!!! Well: I am confused. How about you guys?